This is one of those albums that has developed such a reputation that it's quite common to see it get the dreaded "overrated" tag, as if any album could live up to the sort of divine praise you see. But if you were around in 1992, this was essentially the album that solidified the revival of the genre. Back in the day I used to order CDs from Greg Walker and I still remember this one showing up in a package, unordered, just because Greg probably had no doubt I'd flip over it. He was right, and at the time I think only Ezra Winston's Ancient Afternoons or Nuova Era's Dopo l'Infinito were even remotely at this level of craftsmanship. Nowadays it's apparently easy for a certain segment of fans to throw tomatoes in its direction and scream "Genesis clone," but even back then we knew this was as much about Cathedral's Stained Glass Stories and several other titles much rarer than it was about Genesis alone. This was exactly what a lot of people wanted, an homage to symphonic rock when it was birthed in the analog era by a bunch of young musicians who didn't take any shortcuts in terms of the deep sonics and vintage keyboards. It still holds up all these years later and even though there have been long gaps, the band has evolved without really losing their original vision. 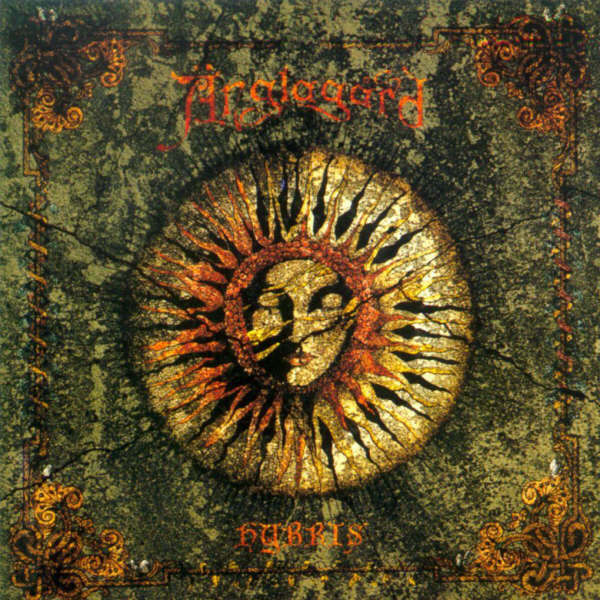 Änglagård is a new young Swedish band composing and playing songs that combine the aggressiveness of mid-period King Crimson with gentle flowing Scandinavian "folk" music. This combination is unique to Änglagård and not as absurd as it sounds. Though separated into four songs, Hybris feels like one 45 minute musical suite. Änglagård is adept at seamless shifting between beautiful flute solos, great choral Mellotron washes, fiery guitar runs, cathedral organ passages, Swedish vocals, intricate melodies and Red-era King Crimson riffs. Hybris is a refreshing album that brought a smile to my face as I relaxed and floated with the music. In addition, the good folk at the Colours label, who reissued the CD, packaged Hybris in a beautiful gatefold jacket with a 12 page Swedish booklet of band history, pictures, and lyrics. This is one album definitely worth finding at any cost.